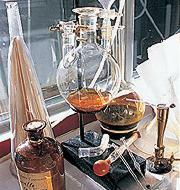 In the 16th century, the leather-tanning town of Grasse began to specialize in making perfumed gloves. In the 18th century, the glove makers and perfumers split off from the tanners to devote themselves exclusively to perfumery. 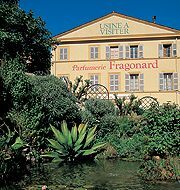 Then in the 19th century, Grasse became an important industrial town with factories that owned estates all over the world growing aromatic plants. Today, chemistry has transformed this industry; the factories have been modernized and synthetic products and food flavorings have been added to natural raw materials. Since 1926, the expertise of Fragonard is rooted in a deep respect for centuries-old traditions, coupled with the most modern production techniques. With a professional specialized in aromatherapy you could learn how to use the essential oils, the distillation methods and techniques. The metabolic process of a plant is photosynthesis. This produces, through chlorophyll, complex molecular structures that create biochemical families, support of numerous essential oil properties according to their natural synergy combination. The essential oil force is due to the strong concentration of active constituents. A small quantity is only necessary for “Aroma Synergy”. That is why it is important to dilute into supports such as plant, oil, creams, shampoos and bath salts. After your initiation you will visit the Fragonard Museum, with a remarkable private collection of rare objects, which recount the role of perfume in the history of civilization. Antique objects, precious flasks, travel necessities, distillation equipment, paintings and engravings are among the several thousand pieces of this collection displayed in our three museums, in Grasse and in Paris.